Get Ready for St. Patrick’s Day!!! Get your green on! St. Patrick's Day is just around the corner and everyone needs a little green in their stash. Now through 2/28 all green in the store is 20% off including backing and thread. 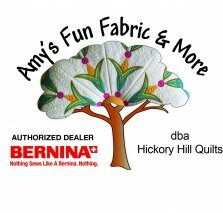 Bernina has reduced their minimum price on machines for a limited time. They are marked even lower that you have ever seen them. 4/14 - they go back to the regular pricing. There is even a free financing period (March 15 - 19) off the MAP price in March if you’d like to use your Synchrony card for sales over $3,000. In honor of Embroidery and International Quilting Months they have some bonus packages with machine sales through March. This month the invisible zipper foot is 25% off. March the 25% off foot is the darning foot #9. March also has a limited time period where all feet are on sale 25% off from the 15th to the 19th! Put that on your calendar! March Open Sew Date Change!!! OPEN SEW DAYS W/ POT LUCK! March 19th is now the date. We had a house full last month and I was so tickled to see the ladies having so much fun! Bring your machine or hand project and spend the day enjoying the company of the fun gals at HHQ! Anything Green is the theme! 3/1 Knubees & Our April Blocks are packaged and ready to go! 3/3 Mastery Class - You must sign up! We had 12 show up last month and we can’t accommodate more than 12. We are going to reduce the attendees to 8 so that the instructors have more time with attendees. We are hoping for an April kick off date, but this is not set in stone yet. We have blocked the second Wednesday for these sessions. Our Shop in Shop can in and was installed in February. We are so proud of it and Bernina is too. 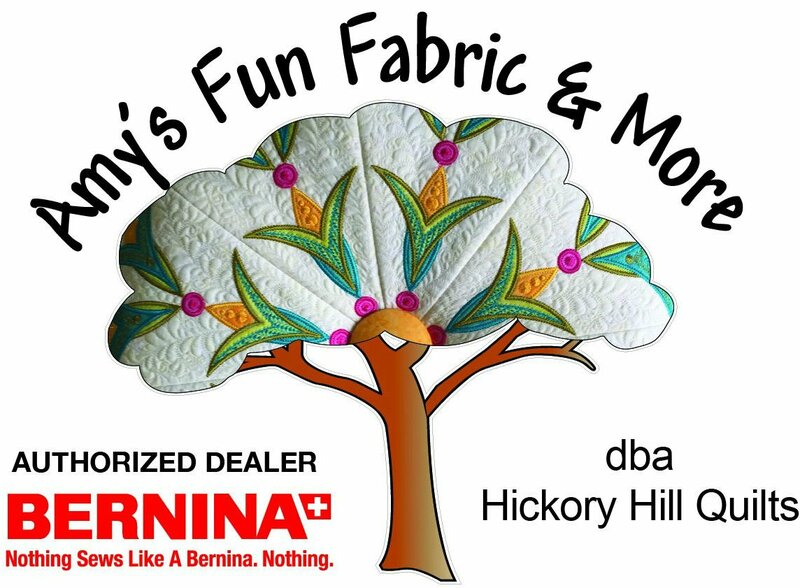 We will be featured in the next International Bernina seminar worldwide! I’m ever so proud and tickled. See the Northcott Artisan Spirit Shimmer link! The fabric came rolling in with 59 bolts of the most beautiful fabric I’ve ever seen. Much of it is green(s), so be sure to take advantage of the sale @ 20% off till 2/28. Northcott's Naturescapes fat quarter bundles are here! There are 40 to a pack and we have two whole packs and two that are in the tables for individual fat quarter sales. Lauren Burch flannel arrived in February and it is precious. Both the cotton and the flannel lines are phasing out, I can’t get replacement feature bolts, so get it while you can. The newest model of Oliso Smart Iron just arrived along with several gallon jugs of Best Press. Our web site sale is on and features all our newest lines. We are activating products daily. We even have our Quilter’s Select rulers available for sale on line so tell all your friends that we can mail them to them now! Skip has completed three new 8 foot tables for our training room to provide more stability for our embroidery friends with the fourth in the garage in the works.